An IJF World Judo Tour event is always an important moment for an athlete. The Paris Grand Slam is the crucial moment of the beginning of the season and for many competitors, of their career. Champions were built in Paris, others put an end to their career in the French capital. 2019 has not departed from the rule and a number of lessons can already be drawn from an edition which is at the very heart of the 'Route to Tokyo' on which hundreds of judokas who dream of World gold in August and Olympic gold in two years now, are engaged. So what about the Grand Slam of Paris 2019? Once again the Parisian public has been at the rendezvous. 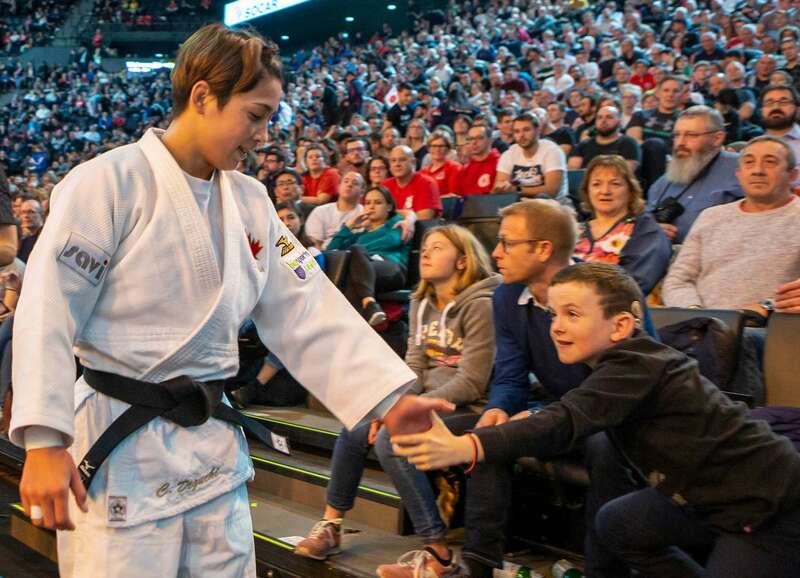 As the competitions started at 9am on both days, judo fans were already lining up at the entrance to the AccorsHotels Arena in the early hours of the day and staying at their seats until almost 8pm. It is obvious that the atmosphere was particularly electric during the victories of Clarisse Agbegnenou and Madeleine Malonga, but throughout the weekend, the Parisian public confirmed that it was the most beautiful public, encouraging and looking forward to beautiful Judo. It becomes a habit, when the Japanese team is announced, it is a safe bet that we will see them reach peaks. With 5 titles and 15 medals for 23 entries, we can speak of great success, despite the early defeat of Abe Hifumi, who skidded twice against the Italian Manuel Lombardo in the first round of the competition. Nothing very serious for the Japanese prodigy, but a warning shot that will have to be taken into account, while Japan is able to offer several world-class athletes in each category. We can also note that out of 12 women entered in the tournament, only one (Endo Hiromi) did not get on the podium. Japan really has an incredible margin compared to other nations and can afford at the Düsseldorf Grand Slam to propose an A team again, but that will be different from the one aligned in Paris. For French Judo fans who are so numerous, the Grand Slam of Paris is always a test. Will the France squad be up to the task? In a very high context, with Japan at the top and many nations growing more and more, France finished in second place with two gold medals, one silver and two bronze. This is not their best result, but the French athletes were able to please their audience. It should be noted, however, that all the medals of the host delegation were won by the women's team, something that had never happened since the tournament's inception in 1971. France had managed to qualify 14 athletes (7 girls and 7 boys) at the last Olympic Games, but that could be in trouble for the Tokyo Games. The strong men of the Caucasus offered themselves a complete podium (1 gold, 1 silver, 2 bronze) although it is in four different categories. Led by their charismatic leader, Varlam Liparteliani, who in one year settled comfortably at the head of the -100kg, the Georgian delegation once again showed its power and consistency at the highest level. We must never forget the Koreans. Sometimes we expect them to succeed, but the results are not up to the expectations, and often they come back by imposing their so specific judo. It only takes one silver medal difference for Korea not to take the 2nd place of the nations, before France. The gold medals of GWAK Donghan (-90) and KIM Sungmin (+100) should delight Korean Judo fans and draw the return of a potential rival of King Riner, in the person of KIM who was masterful at Paris. We also note in this heavyweight category, that the Japanese still can not take the leadership, despite the absence of Riner. While all delegations are counting and counting again points for Olympic qualifying, many countries are steadily earning points and especially placing athletes on a beautiful trajectory to world summits. We could mention Canada, Germany or Israel, but also Kazakhstan, Mongolia and Azerbaijan among these countries, that never disappear from the podiums. It can be said that Russia has missed out on its Paris tournament, with 17 athletes for a single bronze medal (Alan KHUBETSOV, -81). But it is almost certain that the boys and girls of Ezio Gamba will do very well again and they will quickly surface in upcoming competitions and especially at the Ekaterinburg Grand Slam. Finally, the Paris Grand Slam is only one element of preparation for the big rendezvous and Russia has already demonstrated its capacity to be ready on the D day. The seminar in Mittersill, Austria, at the beginning of the season, allowed the referees and the coaches to meet and explain in detail all the rules. The result of these exchanges and explanations was felt as the general opinion, is that the refereeing was very good throughout the weekend. This allowed the athletes to express themselves in the best possible way on the tatami, such as the Moldovan Denis Vieru or the German Dominic Ressel. 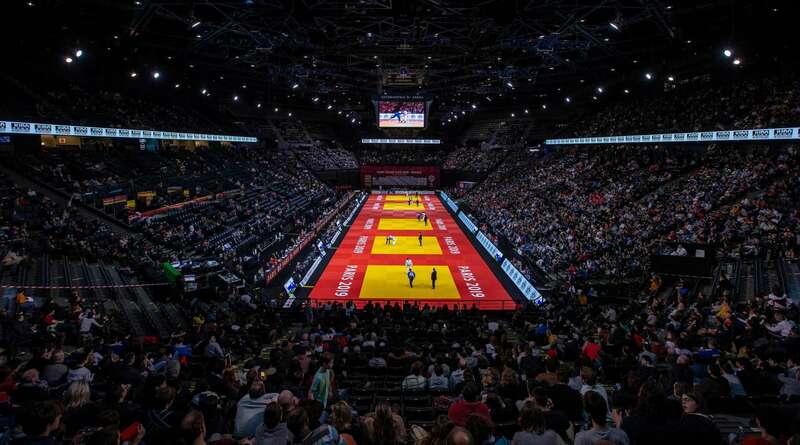 The Paris Grand Slam always offers the opportunity to celebrate the big names of judo. It will be remembered that the public of Bercy was able to celebrate Emilie Andéol, who retired after her olympic crown in Rio, Neil Adams, who received his ninth dan, or Teddy Riner who was given his sixth dan by the president of the IJF. This communion with the public and these tributes to the glories of sport are important for the cohesion of judo. The IJF is a proven powerhouse on social media and #JudoParis2019 dominated the discussion in the French capital as the hashtag trended on Twitter over the weekend. This was without the participation of French kingpin Teddy RINER who was in attendance to support his teammates. 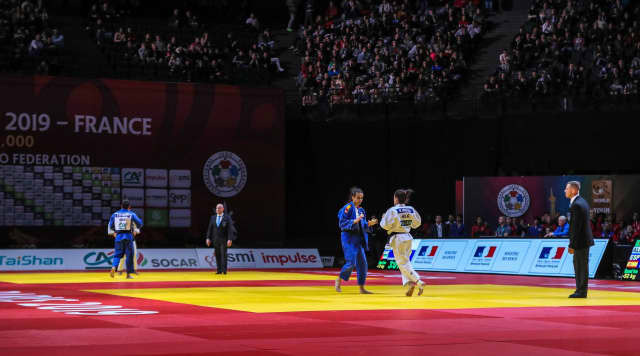 The opening two events of the season, Paris and Tel Aviv, have both trended on Twitter showing the popularity of the IJF World Judo Tour, an eye for tailor-made compelling video content and the world governing body’s close connection with its fans. There would be so much more to say about a weekend that was dense and compact. It would take hours to detail the conclusions of a Grand Slam such as Paris. But we must already turn to Germany where the next Grand Slam will be held from 22 to 24 February and, which, without any doubt, will bring its share of joy and sorrow, confirmations and surprises.